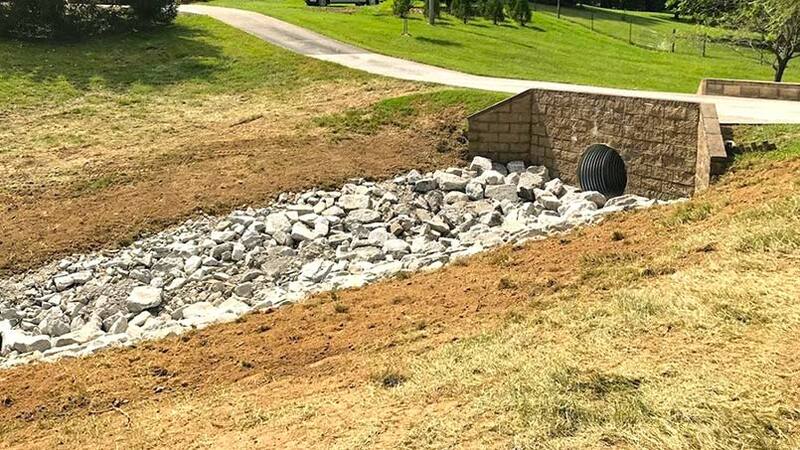 This storm water management system includes a culvert to allow storm water to run under the driveway. A bridge wall protects the culvert and adds an attractive feature. Large stones in the swale slow the storm water and allow it to soak into the ground.